Published on April 11, 2019 in Daily Dirt and National. Closed Tags: Bullard, construction, construction industry, contractors, Edward Dickinson Bullard., employment, hard boiled hat, hard hat, safety. Women got the vote. Prohibition began. The Treaty of Versailles was signed. The National Football League was founded. And, the construction industry was forever changed by the invention of an often overlooked but significant worker safety advancement – the hard hat. 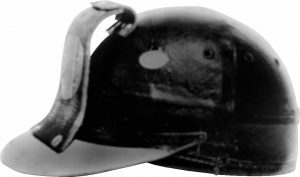 And, while perhaps not considered a great technological invention now, at the time the invention of the hard hat revolutionized and galvanized the businesses and the people behind American industrial boom. The company that invented it has a year-long celebration planned. 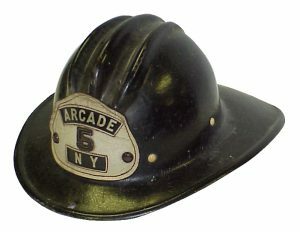 The hard hat comes from a Kentucky based, family-owned company called Bullard, which was founded in 1898 in San Francisco by Edward Dickinson Bullard. The company originally supplied carbide lamps and other mining equipment to gold and copper miners in California, Nevada, and Arizona. When Edward Dickinson Bullard’s son, E.W. Bullard returned from World War I, he combined his understanding of customer needs and his experience with his doughboy army helmet to design a protective headgear for miners. 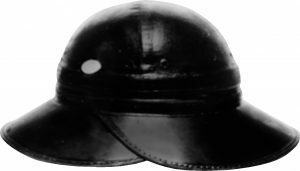 The “Hard Boiled®” hat was introduced in 1919 and represented the first of many innovative designs over the past century that has led Bullard to its prominent position in head protection for industrial and emergency response applications. incorporation of a non-slip ratchet suspension with a knob in the back for simple sizing. The hard hat today is known in the industry as the “C30” and is produced from polyethylene plastic making it lightweight, durable, easy to mold and non-conductive to electricity. Enhanced with an upgraded suspension system, the C30 incorporates easy-lock snaps for simple installation, easy height adjustment, and an enhanced brow pad. The S62 model fosters more air flow inside the hard hat, keeping the user cool and comfortable while providing quality protection. Founded in 1898, Bullard is a leading manufacturer of high-quality personal protective equipment and systems that are marketed worldwide. Product lines include thermal imagers, hard hats, firefighter and rescue helmets, supplied air respirators, powered air-purifying respirators, and air quality equipment. Bullard is a fifth-generation family-owned enterprise whose employees are committed to excellence in every product category. The company is headquartered in Cynthiana, Kentucky and led by CEO Wells Bullard. The Board of Directors has been led by Edward “Jed” Bullard since 1998. More information can be accessed at www.Bullard.com.